Once upon a time I hated running. Just like everyone else. Unless you’re one of those gazelle like people who were born to run you probably have dreaded running at some point or another. Junior high one mile run test anyone? Maybe you just don’t run at all because you somehow instinctively know you will hate it. Don’t worry I know how you feel. I first really started running in December of 2012. I had just signed up for my first triathlon and was ready to get training. Someone asked me what sport of the three I was good at. To which I laughed and said none! 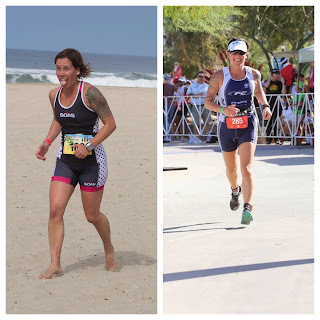 I struggled through swimming, liked biking but hated running. Looking back on it my hate came from the fact that every run was painful and I was slow. Two things that believe it or not you can change! Slowly over the last year I have tweaked my training, shoes and body to eventually find a pain free faster pace. Here is the good news, wait for it, so can you!! Shoes: I put this at the top of the list because in my opinion it’s the most important place to start. I literally bought 6 different pairs of shoes before I found my perfect shoe. Some brands were too narrow, some made my feet ache, knees hurt, back hurt and so on. You might just think that running hurts but I bet if you switch your shoes you would be surprised at the difference it makes! Well once you find your dream shoe that is! Start slow: You don’t have to go out and run a race distance. In fact you don’t even have to run a mile. Try a run / walk combo. Run for a little bit and test your legs out. Then walk and catch your breath. When you feel up to it, run again. This is called an interval. It will help you build not only muscle endurance but improve your cardio. Ground: When at all possible try to run on softer surfaces. Especially when starting out. The sidewalk is the worst and hardest place to run. Great places to start are at a track, a dirt trail, smooth grass or even the sand. Get your body used to the impact slowly. I used to laugh when my brother in law would insist that our bodies were made to run and that people who think running is bad are just not doing it right. Twelve months later I have to admit he is right. Form: Have someone watch you run (Preferably someone who knows about running). Start at the head and work your way down. Are your shoulders relaxed? Arms swinging all over the place? Hands balled up into fists? Knees in or out? Feet flipping out to the side? Long stride? Short stride? All these little adjustments can make your running more efficient and pain free! Time Yourself: Once you can run for a little bit test yourself. See how long it takes you to run a mile or a half mile. Write it down somewhere and save it. Keep running. Test yourself a few months later and you will be surprised that that time will probably be a little bit faster. Nothing is more encouraging than progress. Fartlek Training: This is my favorite! It basically mixes hard and easy all together. There are all kinds of Fartlek workouts but here is an example: a structured fartlek might be: 10-15 minute warm up, 2 minutes hard, 2:30 easy, 3 minutes hard, 2:30 easy, 4 minutes hard, 2:30 easy, 4 minutes hard, 2:30 easy, 3 minutes hard, 2:30 easy, 2 minutes hard, 10-15 minutes cool down. Treadmill sprints: I used to hate the treadmill but now it is one of my favorite running tools. Try a 10-15 minute warm up. Then using the hand rails jump your feet to either side. Find your sprint pace and then you sprint 30 sec on / rest 30 sec. If it feels too easy either up the pace or increase the sprint to 60 seconds. Do this for about 20 minutes and follow with a nice 10-15 min cool down. 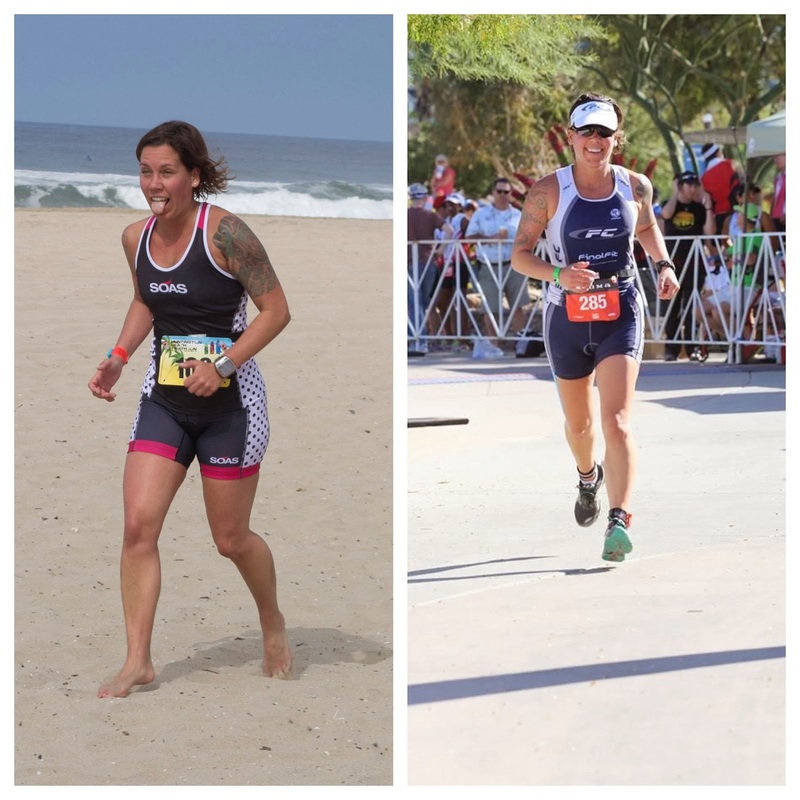 Strength Training: When I started training for my half ironman I let my weight training slip away. It was one of the biggest mistakes I made. Runners love to run and often forget to cross train. I can tell you personally that the cross training and core strength will improve your running by 100%! Most of us have some imbalances. A stronger side or leg or hip and while you might not notice that in day to day life you will eventually feel it after pounding in miles and miles of running. Stretch: PLEASE! I can’t tell you how many runners I have as clients who do long weekend runs, show up on Monday sore and then when I ask if they stretched after slowly shake their heads no. This is probably the most important step. After your run foam roll and stretch for at least 15 minutes minimum! Recover: Ok so you start running and you actually maybe just a little bit start to like it. So now you want to run every day. Just remember to listen to your body! The thing I love about running now is that not only is it pain free but it’s simple. All I need is my shoes and I’m out the door. So, on that note, I’m headed for a run.